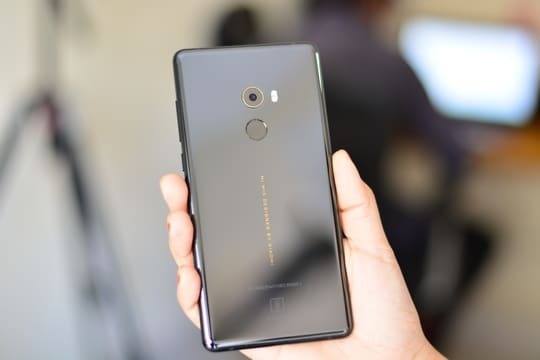 The bezel-less display may be Xiaomi Mi Mix 2’s claim to fame, but the phone has several other splendid features that warrant a closer look at this device. Since the time iPhone X has arrived, edge-to-edge display phones have been a talking point amongst tech aficionados. 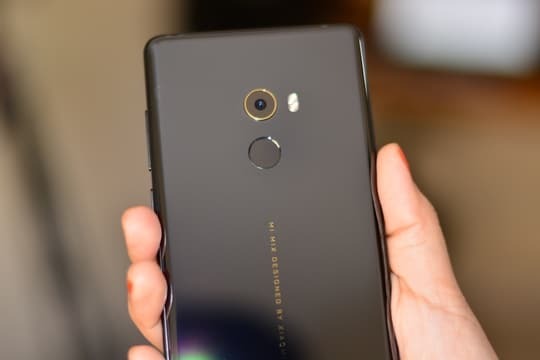 In our Xiaomi Mi Mix 2 review, we look at what makes this phone a great choice for people looking to buy a new smartphone. 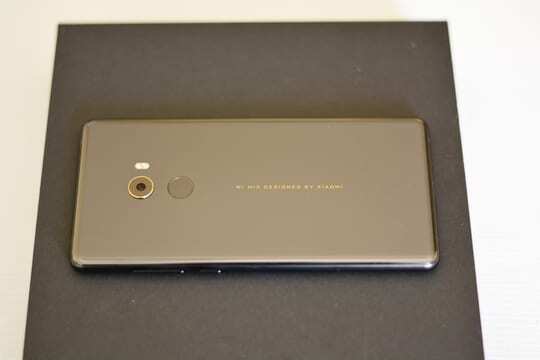 The truth is that it is not something new; Xiaomi released its Mi Mix (predecessor of Mi Mix 2) in 2016 with an edge-to-edge display, much before iPhone X even made an official statement. Although many phones talk about the same full-display concept, Mi Mix 2 has made it a reality. Let’s take a look at the specifications and what works for this incredible device. A black case for the phone. The USP of the phone is it’s Bezel-less display. Yes, the display, not the screen. Many people are confused between the screen and display size. The display size is the actual screen on which you can view all the stuff on your phone; video, apps, etc. Whereas, screen size is the overall edge to edge measurement which includes frame also. Mi Mix 2 gives you the experience of the full screen but at a cost – the camera has been shifted from the forehead down to the chin. The Mi Mix 2 sports a 15.2 cm [5.99 (IPS LCD)] display with 18:9 aspect ratio; Mi Mix had a 6.4-inch 17:9 display. Hence the Mi Mix 2 is easier to handle. The screen resolution is 2160 x 1080 pixels with 403 PPI and 1500:1 contrast ratio. It supports DCI-P3 color gamut and has great features such as Reading Mode, Night Display, Sunlight Display, among others. The on-screen buttons are on the bottom of the phone and you can hide them if you want; swipe up and the buttons will be displayed. This is a great feature to have especially when you are watching movies or playing games; take advantage of the bezel-less full screen for an enhanced viewing experience. Mix Mix 2 comes with four rounded corners and ceramic back body. Its dimensions are 151.8mm height, 75.5mm width, 7.7mm thickness and 185g weight. The effortlessly smooth ceramic body has an aerospace-grade aluminum alloy frame. As the body is ceramic, it is quite slippery to hold and attracts smudges and fingerprints. As we have already mentioned, the front camera is at the bottom to decrease the size of the forehead and increasing the display. The proximity sensor is ultrasonic, unlike other smartphones that use IR sensor. The earpiece is as small as it could be and located right above the display. 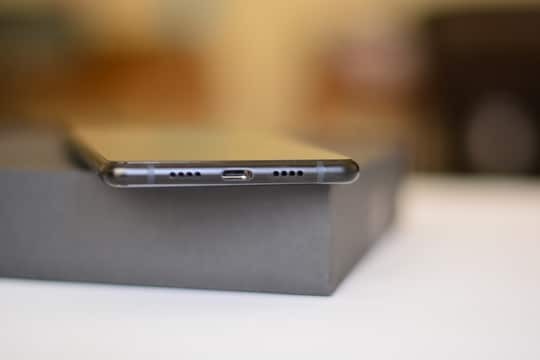 There is no headphone jack; instead, it comes with a USB-Type C port which you can use for charging, file transfer and listening to audio. On both sides of USB Type-C port are grilled holes for mic and speaker (left for mic and right for speaker). 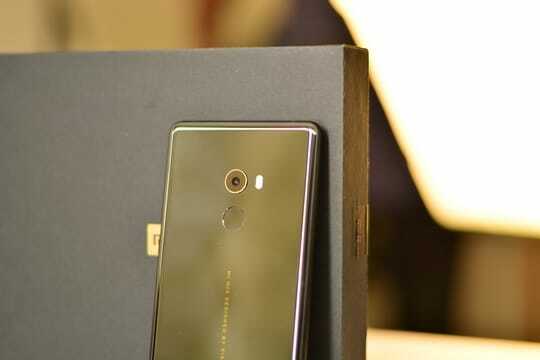 The back of the phone looks great with a rear camera designed with an 18-karat gold-plated rim. Below the camera is the fingerprint sensor which is conveniently accessible. On the right side of the camera, is the dual-tone flash. Just below the fingerprint sensor, you can see the logo – Mi Mix Designed by Xiaomi. On the right side of the device are the volume up and down buttons along with the power button. The Mi Mix 2 initially came with MIUI 8.5 and Android 7.1.1. At the end of the December, it got an update to MIUI 9. Front Camera: 5 megapixels, Beautify with 36 smart beauty profiles, 1080p video call with real-time beautify. Sensors: Ultrasonic proximity sensor, Gyroscope, Electronic compass, Ambient light sensor, Hall sensor, Barometer. Multimedia support: MP4, AAC, FLAC, APE, WAV, MKV, M4V, MP3. Note: There is no microSD card slot as the internal storage itself is at 128 GB which is quite enough. The phone comes with many exciting features like the Dual apps where you can have multiple instances of apps like Facebook and Whatsapp on a single phone. 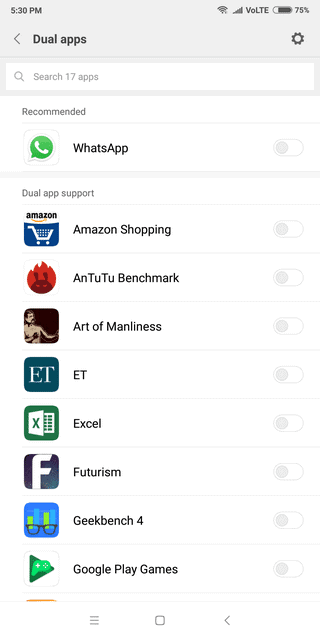 Dual Apps feature to run 2 instances of the same app. The Second Space feature lets you set two different profiles on the phone; it is like having two phones at the same time. You can set the one-handed mode so that everything is accessible by a single hand. Quick Ball allows you to use a virtual ball as a pointer to highlight anything on the screen or the app. 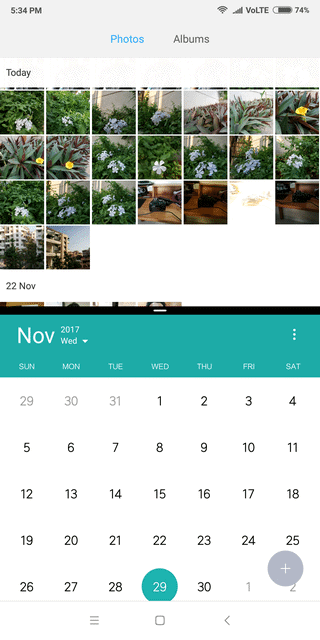 With the recent update of MIUI 8.5 to MIUI 9, multiple features have been added. One of the finest features is Split-Screen where you can use two apps on a single screen. 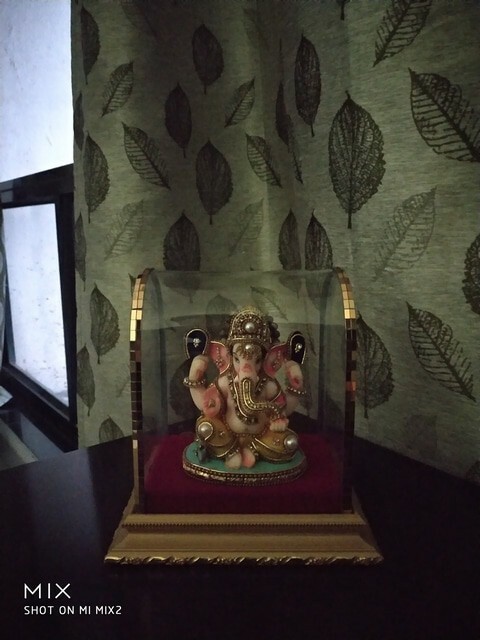 There is not much to talk about the camera; it is similar to what other Mi phones also have. The front camera is 12 megapixels and the rear is 5. At this price, it would have been nice if the camera quality was better. 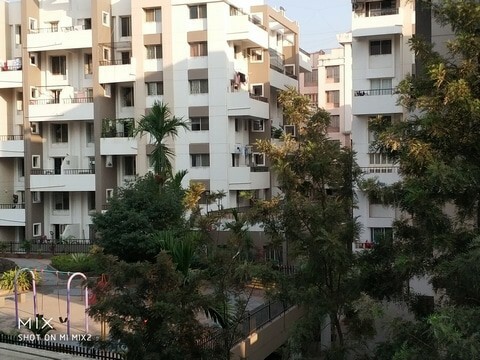 The quality of pictures and videos taken from the rear camera (both in daylight and lowlight) are just okay and lack details. Below are some pictures that we took in daylight and low light. The automatic beautification feature makes the selfies come out better. The front camera does not have a flash which is disappointing in such a high-end phone. As the front camera resides at the bottom of the phone, you have to make some adjustments while taking selfies. You have to perfect the technique and make sure your fingers don’t come in the way. The volume buttons and the fingerprint scanner can also be used to click pictures. Coming to the battery life of the device, we saw that the battery lasted for more than 1.5 to 2 days with normal usage, which is quite impressive. You can easily leave the charger at home and not carry it around, with normal usage. 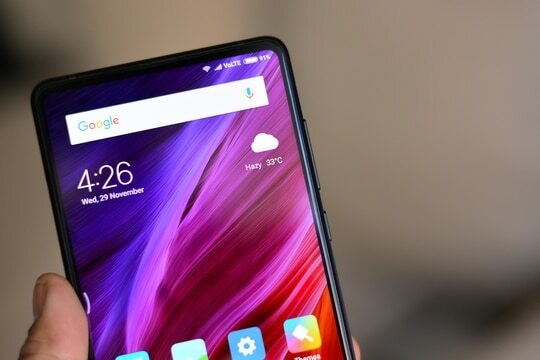 Following its predecessor, Mi Mix 2 has continued to be on their clean concept of the bezel-less display. Mi Mix 2 has arrived with some tweaks in their previous model Mi Mix to enhance the experience while handling the phone and making the maximum use of the screen. 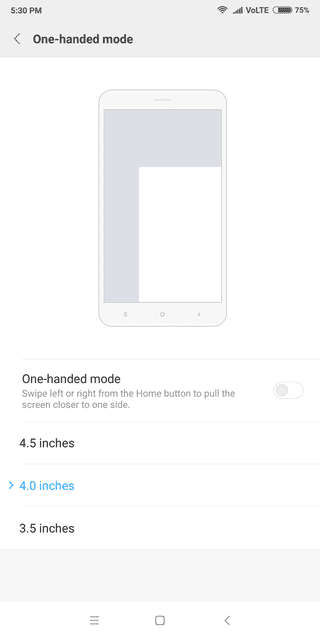 The primary thing that you will notice is the size of the phone as Mi Mix 2 is smaller than Mi Mix since the previous model was quite large to be used with a single hand. This time the screen is 5.9″ IPS LCD, whereas Mi Mix displayed the 6.4″ screen size. The storage space is same as 128GB whereas the camera has come down to 12 MP from 16MP which is quite disappointing. The battery is also decreased to 3400mAh from 4400mAh but it doesn’t affect the performance much since the decrease in screen size automatically lessens the power consumption. RAM has got a hike to 6GB to 4GB; install as many apps as you want and play your favorite Android games. This time the incredibly beautiful ceramic body design is curvy, unlike its predecessor which had a square and angular look. Now the phone seems pretty like other smartphones which was not the case with Mi Mix. The camera position is unconventionally at the same place; bottom of the screen making it a disaster to use. The smooth touch and sleek design with the maximum display are the highlights of this phone. The processor and the RAM are good enough at this price when compared with other similar phones. The battery life is what stands out on this phone. Moving the front camera to the bottom takes some time to get used to. Taking selfies with this phone is not as simple as before and there is a learning curve to it. The camera and the picture quality is disappointing; not expected from a phone of this price. The phone is heavier than other similar phones. There is no headphone jack which is a dealbreaker for music lovers as it is a little inconvenient to attach an audio adapter everytime you want to listen to music. Is the Mi Mix 2 worth buying? Xiaomi has given us exceptional smartphones with minimalistic design and excellent performance. Mi Mix 2 is the latest and offering from Xiaomi that brings together phenomenal performance and affordable price, giving tough competition to popular brands like Apple and Samsung. Going for this phone is a wise decision that will leave you with no regrets. Mi Mix 2 is probably going to lead the market with its powerful performance and is perfect for people who are looking for an efficient device with high configuration and a decent price tag. The very sleek, classy and elegant design of the phone, battery life, bezel-less display and great performance fixes its place firmly in the list of best smartphones of 2017. Next articleCPUboss: Is it a Reliable Source to Check for Processor Performance and Ratings?